The study of Science provides students with the skills required for them to gain an understanding of importance of Science in their own lives and society both locally and globally. 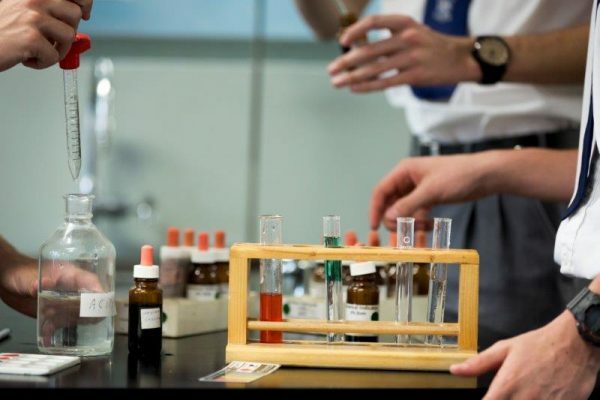 Students in all years learn how to apply the skills associated with working scientifically such as questioning, experimenting and, seeking solutions to problems. This allows students develop an understanding of the relationships between Science and technology. In all courses students engage in scientific inquiry and develop an appreciation and respect for differing viewpoints on scientific issues and development of science as an evolving body of knowledge, bridging the gap between complex relationships in an effort to solve the problems of the future. All students in years 7 to 10 study Science. In the senior years, students have the opportunity to study up to 3 Science subjects, depending upon their needs, abilities and interests.